We invi­te com­pa­nies from all over Euro­pe. If you are inte­re­sted in the distri­bu­tion of GMS-SYSTEM pro­ducts or you want to intro­du­ce them to your offer, ple­ase con­tact us. Our part­ners rece­ive indi­vi­du­al tra­de terms and all manufacturer’s sup­port. 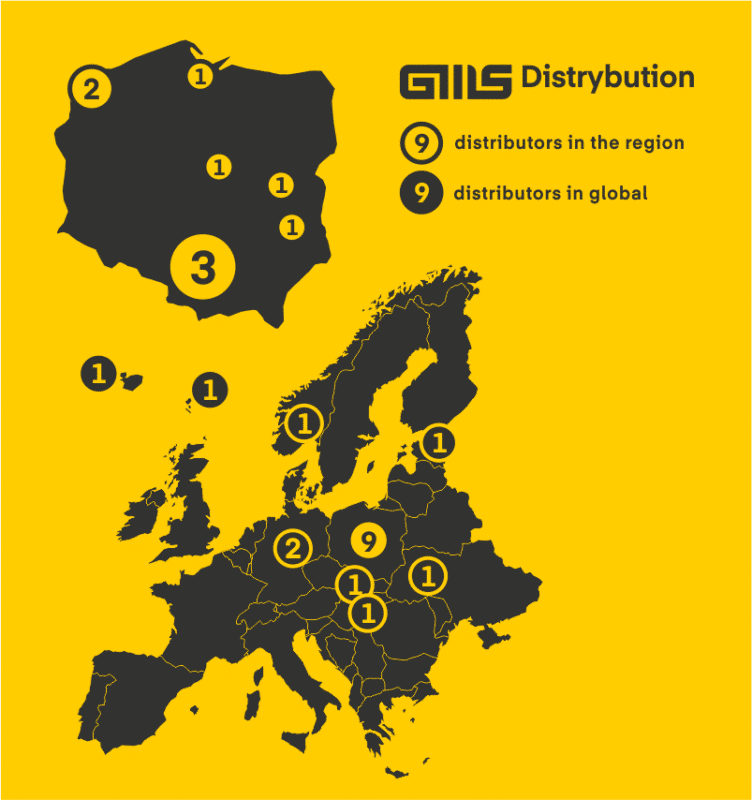 Inte­re­sted com­pa­nies are invi­ted to e-mail con­tact: biuro@gms-system or tele­pho­ne +48 18 445 70 83, +48 18 445 70 93. GMS Cor­po­ra­tion Sp. z o.o. is an EU VAT pay­er and has other rights to export pro­ducts to Euro­pe­an Union coun­tries and bey­ond its bor­ders. The GMS Cor­po­ra­tion was foun­ded in 1994. The company’s main area of busi­ness is the pro­duc­tion of modern par­ti­tion walls, ste­el gara­ges, dust­bin shel­ters, gara­ge doors, cel­lar doors and shel­ters. The idea behind our pro­ducts is relia­bi­li­ty and func­tio­na­li­ty, so at eve­ry sta­ge of pro­duc­tion the­re is a quali­ty con­trol sys­tem in pla­ce that adhe­res to the highest Euro­pe­an stan­dards. Having acqu­ired a satis­fac­to­ry mar­ket posi­tion and the high quali­ty of pro­ducts, the GMS Cor­po­ra­tion still stri­ves for con­stant growth. This appro­ach resul­ted in rece­iving mul­ti­ple awards, altho­ugh it is tho­usands of hap­py custo­mers across Euro­pe that are our pro­ducts’ best recom­men­da­tion. Thank you for your inte­rest in our com­pa­ny.